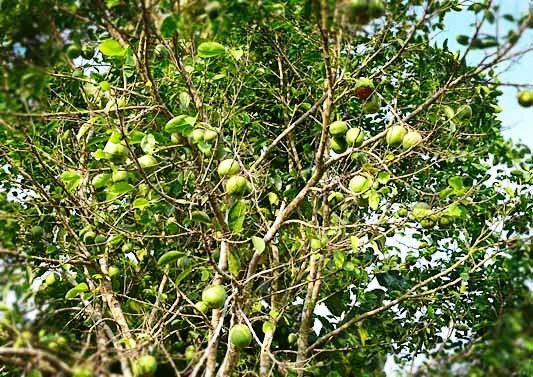 Dika nut is a large deciduous tree often found growing near banks. It is widely distributed in western tropical Africa from Senegal to Angola. The tree reaches a height of 100 ft.
A tall straight deciduous tree, straight, up to 40 m high and 1 m in diameter; buttress upto 3 m; outer bark smooth to scaly, grey to yellow-grey in color; crown evergreen, spherical and dense. Leaves elliptic, one margin is often a little rounder than the other, acuminate, dark green and glossy on the dorsal side. Flowers yellow to greenish-white, in small panicles, bisexual. Fruit nearly spherical, green when ripe with a bright orange pulp. The stone is woody and contains one seed. The fruit of the dika is a large edible drupe with thick, fibrous flesh. 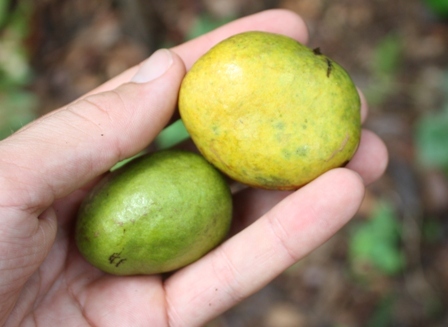 The drupaceous fruits are yellow in colour and are therefore also called African mango. 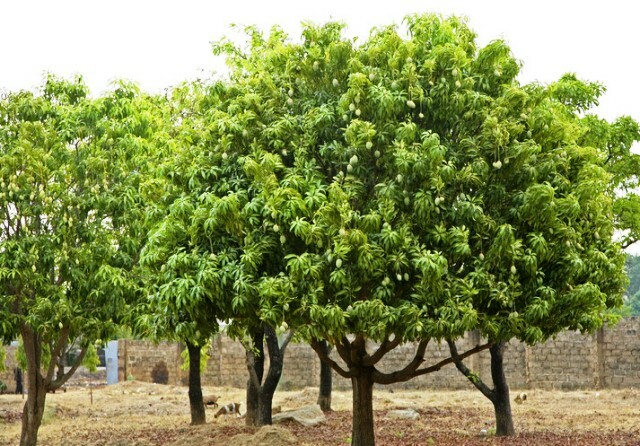 The fruits are also used to make African mango juice. The hard wood is used as a local building material in heavy construction. It resists termites. 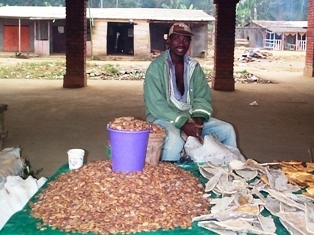 The kernels, called dika nut, are edible. The kernels are rich in fat. These are roasted like coffee beans and pounded and put into moulds. These are also used as thickening agent in some foods. The domestication of this fruit, which was all harvested from wild till 1990, has been started recently, after 1990. Though seeds germinate readily, but the best way to raise new plants is from layering. The layered plants come into bearing in 2-4 years where as the seedlings may sometimes take up to 10-15 years. The wild trees show a lot of variation in fruit quality. So efforts should be made to select trees with superior fruits and clones of superior types should be established.